Gone are the days when people went on holiday solely to lie on beaches, soak up the sun and generally do very little. According to one survey carried out by Health and Fitness holidays, 94% of holidaymakers now seek holidays to pursue health and fitness. One of the most popular types of active holiday is walking holidays. A region that has been quick to jump on this trend is the Canary Islands. With a yearlong mild climate and unique volcanic landscape the Canary Islands have much to offer walkers. Additionally, the fabulous beaches, delicious cuisine and pretty towns and rural villages add further colour and interest to Canary Isle holidays. Here are three of the best hiking areas in the Canary Islands. Gran Canaria is the most popular destination in the Canaries among walkers. Over 600 square miles there are deserts, volcanic mountains, fertile plains, deep reservoirs and 4,000-year-old troglodyte villages and ruined settlements. All this makes for an interesting and diverse landscape that’s begging to be explored. The best walking in Gran Canaria can be found in the north near to the capital Las Palmas. Deep gorges and ravines such as Tirajana Gorge and Barranco del Dataa ravine are dramatic and foreboding whilst Roque Nublo, or ‘cloud rock’ is truly mesmerising and is popular place with rock climbers. Climbing Pico de las Nieves is also well worth the challenge as the views over to Mount Tiede in Tenerife are breathtaking. The surrounding valleys are filled with pines, wildflowers, fruit trees and eucalypts and are thus beautiful and fragrant places to roam. On The Beach offers Gran Canaria holidays to several different resorts on the island so you can combine a little sun bathing and swimming with some serious hiking to create perfect Gran Canaria holidays. 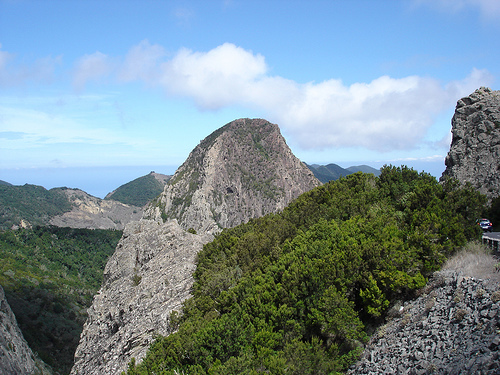 The small Canary Isle of La Gomera is one of the least populated and as a result it remains wild and unspoilt. Add rugged volcanic mountains, poppy fields, palm trees, lush green valleys, deep ravines and undulating coastlines and you have a walkers dream. The Garajonay National Park in the centre of the island is home to many walking trails, but you can walk pretty much anywhere on this mountainous little island and find hidden valleys and picturesque villages to take sustenance. Next post: Beverley — A Market Town Well Worth the Visit!